The trade that everyone will think they’re a genius for dreaming up is to sell the copper spike we just mentioned. You know, sell the news, etc. But the (non)-disruption in Chile isn’t the real story. 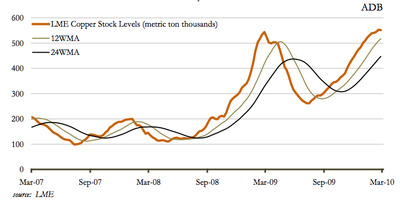 The real story, as pointed out by Waverly Advisers, is the build up LME copper stockpiles, which might suggest a top-out in demand, though even that’s not totally clear. 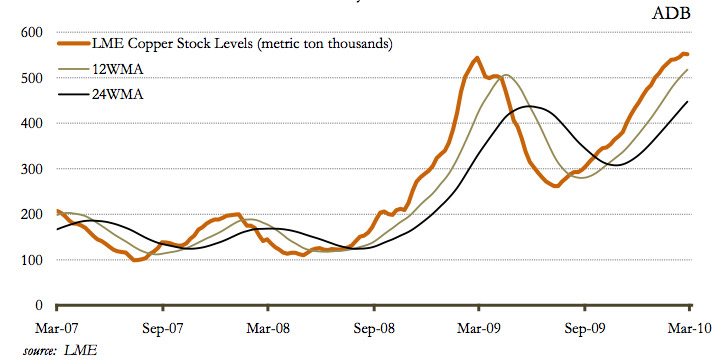 levels in South Korea re starting to test our thesis. With Chinese industrials now fully back on line after Lunar New Year any other potential signals of demand resilience will be of note. We will continue to monitor the situation closely.